You are currently browsing the tag archive for the ‘reconstruction’ tag. Anybody interested in Gothic art is mourning today, after a fire gutted Notre Dame Cathedral of Paris, one of the luminous cultural treasures of the world. The devastation is particularly cruel since it took place during Holy Week. As I write this, the fire has only just been extinguished and a comprehensive reckoning of what was lost in the flames has not yet emerged (and may not for some time). It seems likely that the giant ancient pipe organ is lost as is the wooden interior (much of it dating back to the 13th century), and a good deal of the large, immovable religious artwork. Additionally the mid-19th century spire was completely destroyed. Yet the crown of thorns (a medieval relic which may date back to late antiquity) survived, as did the great church itself. Like the Frauenkirche of Dresden, Notre Dame will be back. It will have some blackened stones and some new plaques about reproduction and restoration. It will be missing some irreplaceable artwork, yet it will be restored to full heart-lifting beauty. The cathedral sits on the site of two previous churches, which themselves were built over the ruins of a temple to Jupiter (which is a reminder that nothing is immutable). Commissioned in 1163 by King Louis VII, the great cathedral took nearly two centuries to build and it was not completely finished until 1345. Hopefully reconstruction will not take so long. On this day, March 22nd in 1871, William Woods Holden was the first governor in the United States to be impeached and removed from office. His story is a reminder of what happens when pure partisan rancor becomes the norm in unhappy eras of American politics. Before the American Civil War, Holden was a newspaper publisher who tried (unsuccessfully) to steer North Carolina on a Whiggish course towards peace. Additionally, he politically opposed the Confederate government during the war, and so, after the rebellion was finally crushed, Andrew Johnson appointed William Woods Holden as provisional governor of North Carolina. He lost the special gubernatorial election of 1865, but was returned to power at the head of the Republican ticket in 1868. Unlike other southern governors, Holden instituted aggressive policies to curtail the Ku Klux Klan. In 1870 he called out the state militia to crack down on the Klan which had assassinated a republican state legislator and lynched a black policeman. The governor declared martial law in two counties and temporarily suspended the writ of habeas corpus for certain suspected Klan members. This upheaval became known as the Kirk-Holden war and it resulted in a severe political backlash during November of 1870 (1870 was an election year). The North Carolina election that year was marred by vote tampering, voter suppression, and outright violence, and the Republicans lost their legislative majority (back in those days, the Democrats were the party of bigotry, intolerance, oppression, and cruelty). After the election, William Woods Holden was impeached and removed from office in in a vote which hewed exactly to party lines. The Democrats took full control of North Carolina and moved the state away from the Reconstruction-era civil rights reforms championed by Holden (who went into self-exile in Washington DC, where he again worked on a newspaper). However, history is a long, strange affair and William Woods Holden was fully pardoned and exonerated by unanimous vote of the North Carolina state legislature…in 2011. 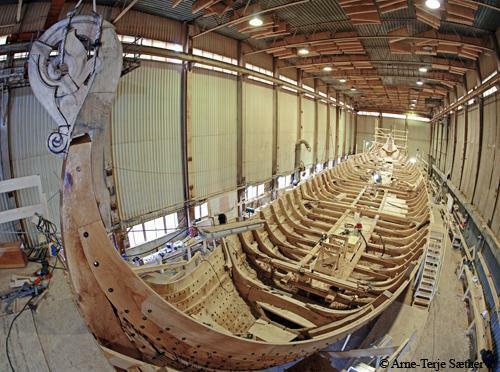 This blog has featured replicas of two ancient sailing ships–the Greek trireme Olympias and the Norwegian Viking ship Dragon King Harald—however the prettiest modern replica of an ancient ship is a reconstruction of a much older vessel. 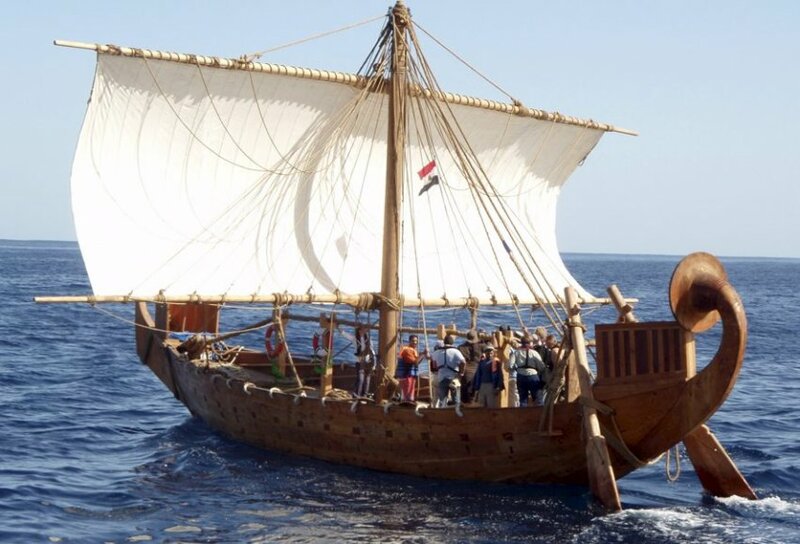 The ship Min of the Desert was hand built by 4 men and 2 teenage boys in the modern Hamdi Lahma & Brothers shipyard in Rashid, Egypt (which was called Rosetta in classical times). The builders used traditional tools and original techniques to craft the Min after a sea-going Egyptian trade ship from 3500 years ago. 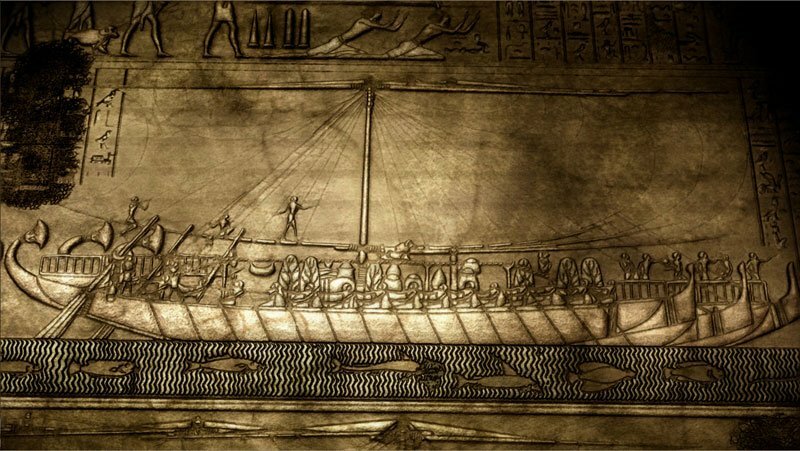 Archaeologists know a great deal about the boats which sailed the Nile–since they have the actual ships (which were preserved in tombs in order that Pharaohs could sail in the next world). However sea-faring ships were not preserved in the same way and only trace evidence from underwater archaeological sights survives. 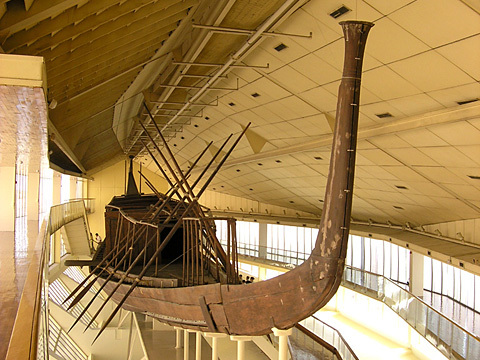 To build the Min, the modern shipwrights looked to river ships from tombs for technique, but they looked at ancient Egyptian art for a design. A 3,500-year-old bas relief from the pharaoh Hatshepsut ‘s funerary temple at Deir el-Bahri near Thebes, provided the basic design for the Min of the Desert. 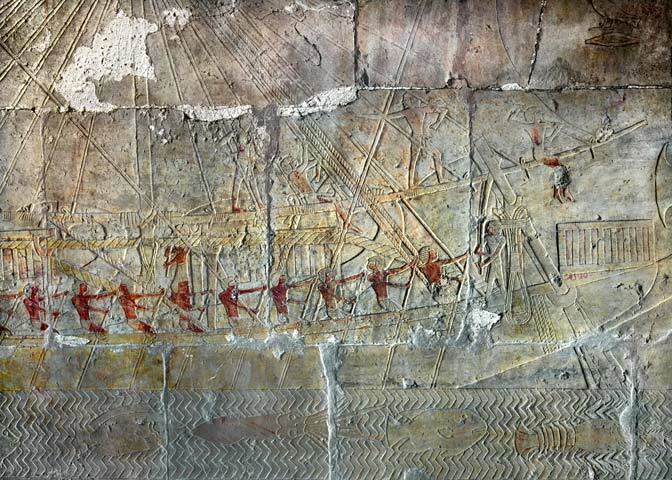 The ships pictured on the bas relief were trade ships which participated in Hatshepsut ‘s trade expedition to Punt, which took place in the ninth year of her reign (Hatshepsut was a lady pharaoh who lived in the 15th century B.C. and reigned as the fifth pharaoh of the eighteenth dynasty). From the time of the old kingdom onward, Egyptians had launched expeditions to the land of Punt, a kingdom rich in gold, frankincense, myrrh, and exotic timber. Numerous ancient Egyptian sources mention Punt (which was a trade destination for the Egyptians for over a thousand years) but none actually mention where it is—apparently everyone back then just knew. The actual location has eluded Egyptologists for 150 years. 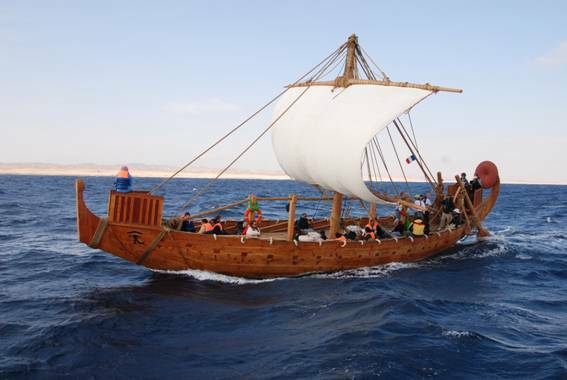 To get to Punt, ships were carried in pieces across the desert to the Red Sea port of Saww. Then the vessels sailed on the Red Sea…to where? Modern day Somalia and Arabia are the best guesses, but the issue remains in doubt. When completed Min of the Desert measured 20 meters (66 ft) long and nearly 5 meters (16 ft) wide with a cargo capacity of about 17 tons. Held together entirely by mortise-and-tenon joints, the ship proved to be surprisingly seaworthy and fast. Sailors rowed the Min in to position to raise the sail (a labor which required substantial physical strength) and then traveled along at speeds between 5 and 9 knots. The ship handled 25 knot winds and 3 meter swells with ease. The modern sailors were surprised by the excellence of the 3500 year old ship. Last year I wrote about the world’s fastest human powered boat, the 170 oar Hellenic navy trireme Olympias, which is scheduled to visit New York’s harbor as part of the tall ship festival this summer (July, 2012). One of my friends has even been training to crew the classical warship while it is here, so we will be returning to that story soon! In the mean time, however I have been following the somewhat related story of the traditional construction of a Viking longboat in Norway. 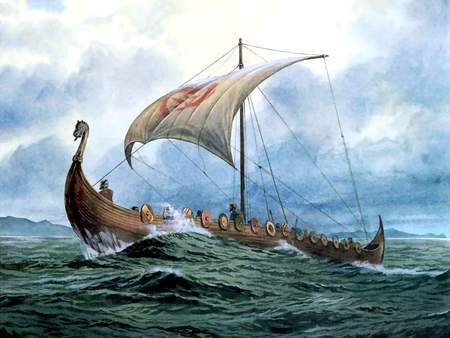 Viking ships were up to three times as fast as the other ships of the time. They could be pulled entirely on the beach and they had flexible, clinker lined hulls which allowed them to conform to the waves in the manner of the serpents, dragons, and seabirds which were their emblems. Vikings used their superior ships to undertake prodigious feats of sailing. The Norse mariners sailed from North America in the west, to the far distant Sea of Azov beyond the Black Sea (and pretty much everywhere in between). 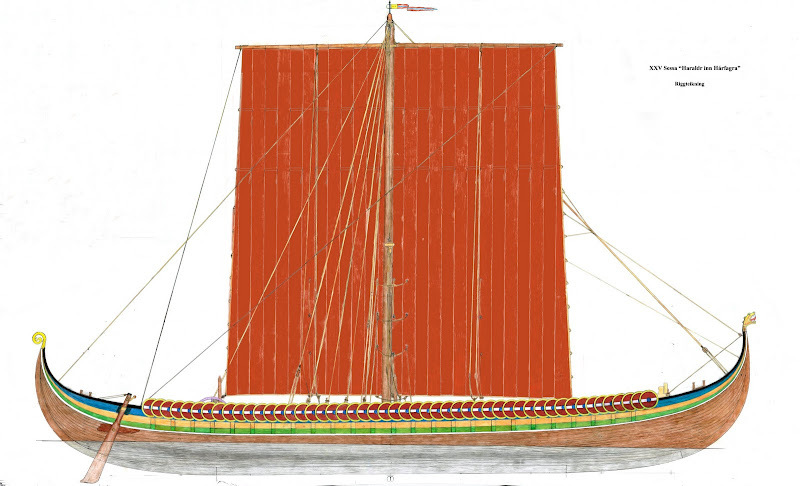 Not only were the sea coasts of Europe, Central Asia, and North America accessible to Viking ships: because the vessels had such a shallow draft, they could operate on rivers which were regarded as non-navigable. From the 8th to the 11th centuries, Scandinavian sailors could appear almost anywhere to explore, trade, pillage, or hire out as mercenaries. 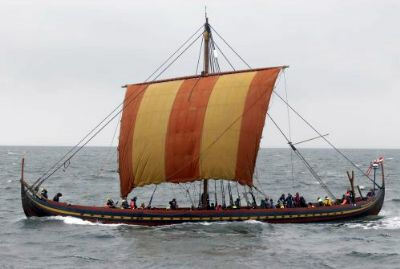 The Sea Stallion from Glendalough (Havhingsten fra Glendalough) is the largest replica Viking ship built to date. The ship is 29 metres long and carries 60 oarsmen, with a crew of 70 – 80. At a hundred and fourteen feet of crafted oak, twenty-seven feet on the beam, displacing seventy tons, and with a thirty-two hundred square foot sail of pure silk, this magnificent ship will indeed be worthy of a king. The Dragon Harald Fairhair will have 25 pairs of oars. It is necessary to have at least two people on each oar to row the ship efficiently. That will give a crew of at least 100 persons, yet the craft should be able to be sailed by only twelve. When it is finished, the Dragon King Harald, will join a veritable fleet of reconstructed Viking boats (which can be seen here at vikingstoday.com). The craft should be seaworthy in summer of 2012, but its builders anticipate spending a season experimenting with rigging and sailing techniques (since there are no actual Viking sailors left to explain how to operate a working Viking longboat. Plans are being made to bring the Hellenic Navy vessel Olympias for its first voyage in the U.S. Scheduled for late spring through early summer of 2012, Olympias’ visit will coincide with the Tall Ships “OpSail” and July 4th events in New York Harbor. A world-class exhibition on Athenian maritime history is among the many exciting activities being organized to promote the ship’s historic visit and enhance public awareness of the significance of triremes in the development of democratic ideals. 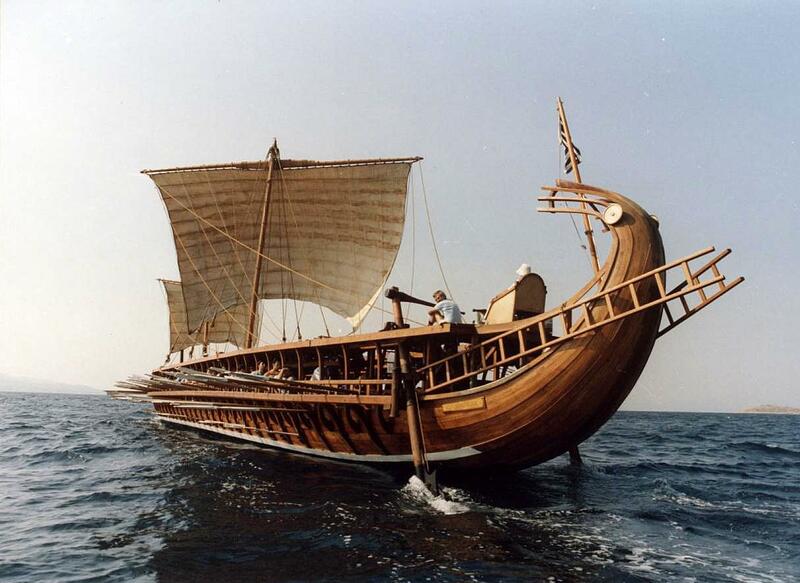 The Olympias is a reconstruction of a 5th century Athenian trireme, the great warship of the age. Trireme determined the outcome of the Persian wars and then cemented Athenian supremacy in the Mediterranean. By the 4th century, triremes were being supplanted by larger faster quadriremes and quinqueremes which were the war galleys used by the Romans and Carthaginians. Since the world has been noticeably trireme-free of late, the 170-oar Olympias currently qualifies as the fastest human-powered sailing vessel in the world. Classical Greek galleys were originally crewed by free citizens, but, because of the danger, tedium and hardship involved in such work, citizens were soon replaced by criminals and slaves. If you are looking for the unique opportunity to row a classical warship around New York harbor, click here. Apparently there are still plenty of openings on the Olympias’ rowing benches. 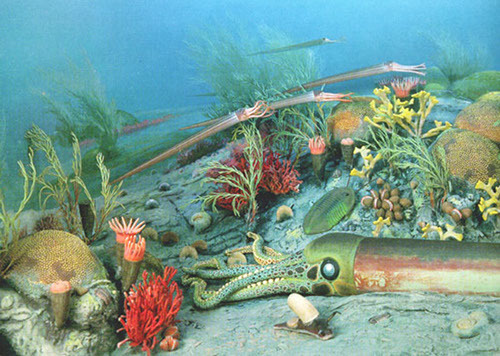 The Ordovician Period, the second period of the Paleozoic Era, took place from 488 to 444 million years ago. During those 44 million years, the landmasses of earth were devoid of life except for hardy lichens, tiny algae, and a few lowly non-vascular plants. The oceans, however, teemed with diverse marine invertebrates and primitive vertebrates. The ecosystems of these great shallow seas seem familiar–with colorful intermeshed filter feeders, grazing herbivores, and swift deadly predators. And yet the creatures are so alien as to make Ordovician reconstructions almost resemble another planet. All of the creatures of a modern coral reef are replaced by strange analogs: the dominant filter feeder were not corals but weird sponge-like animals—the archaeocyathids. The grazers were conodonts and trilobites. The predators were primitive sharks, huge scorpion-like eurypterids, and above all, the nautiloids–for the Ordovician was a time when cephalopods ruled the earth. At least ten different orders flourished at this time, all but one appearing for the first time during the early or middle part of the Ordovician. This astonishing diversity included straight, curved, loosely coiled, and tightly coiled shelled types, and even one group (the Ascocerids) that in order to become lighter and more streamlined lost the a large part of their shell altogether. These intelligent carnivorous molluscs replaced the Cambrian Anomalocarids as the dominant life form and top predator of the world’s ocean. The biggest, such as the endocerids, attained huge size; with shells of up to 10 meters in length they were the largest animal that, up until that time, had ever lived. Some paleontologists have expressed doubts about this magnificent ten meter endocerid shell. But, even so, it is worth remembering that this measurement did not include the tentacles and the head of the creature. 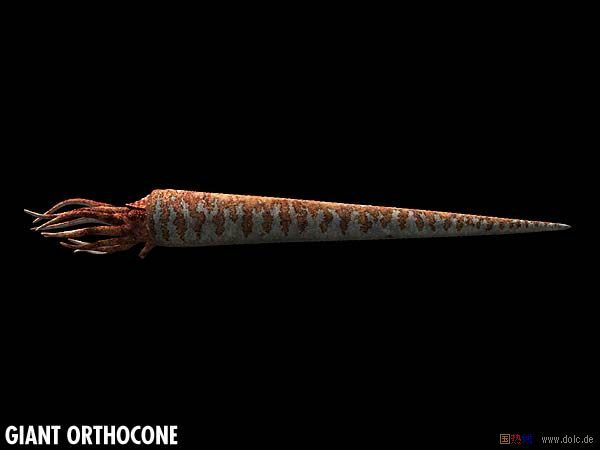 These giant orthocones must have been formidable predators, living on nautiloids, eurypterids, and jawless fish. The great monsters are believed to have had weak eyes (and could probably be avoided by staying shell-side of the behemoths). However an even bigger problem faced the tentacled masters of that world. During Ordovician times, the land masses that are now South America, Africa, Madagascar, Antarctica, India, South Asia, and Australia were all joined together as a supercontinent, Gondwanaland. Over tens of millions of years Gondwanaland gradually drifted into the Southern Polar regions of the globe. This resulted in heavy glaciation, which in turn caused rapid deep freezes and sudden interglacial warm periods—in other words, an ice age. 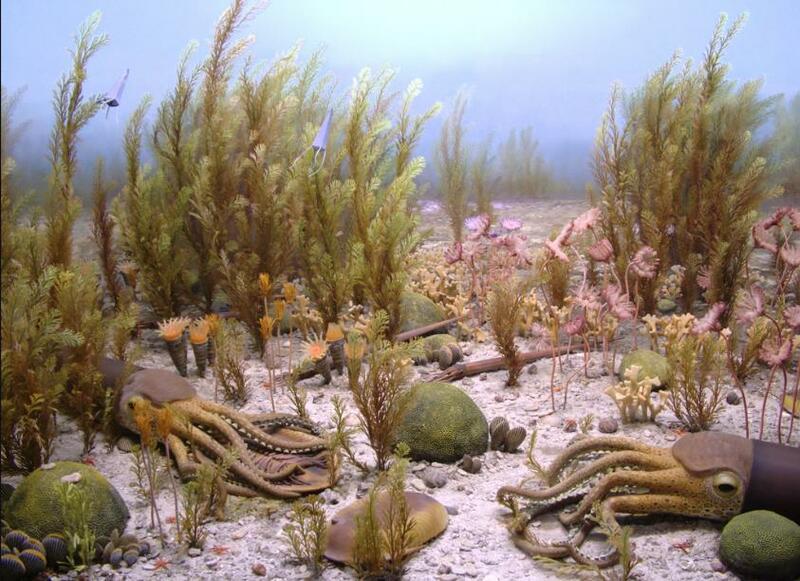 This great ice age caused the depth of the ocean to fluctuate wildly which brought a crashing end to the Ordovician and its dominant cephalopods. The mass extinction which ended the Ordovician period was the second worst in the history of the planet (eclipsed only by the mass extinction at the end of the Permian period). More than 60% of marine invertebrates went extinct (including whole families of mollusks). This was but one set back for cephalopods. The family has burgeoned and then crashed many times, but it marked the end of their time as apex predator. 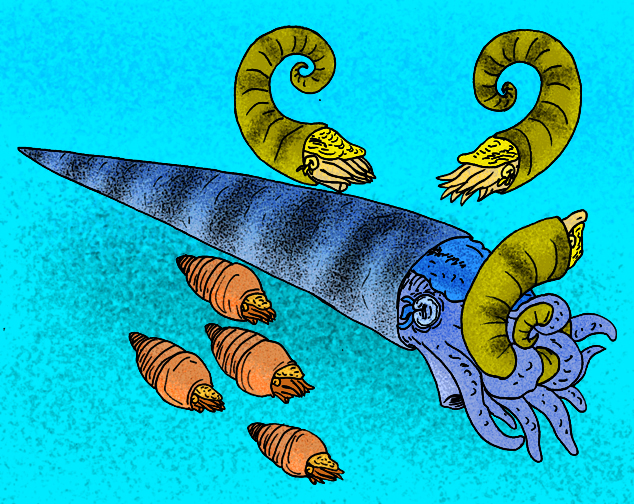 Various Ordovician cephalopods, including the infamous Cameroceras trentonese, shown feeding on a hapless Aphetoceras americanum, while a quartet of Cyclostomiceras cassinense swim by (illustration by Stanton F. Fink).